The right or wrong kind of lighting in your homes can either make or break the whole décor of the place. Therefore, it is important that a lot of attention be paid to lighting as well as light fittings. Proper lighting can increase the aesthetics of a room. In a perfect world, we would be able to change the lights in our houses with every change in the décor of our homes or with every addition of a piece of furniture or art to our rooms. However, changing permanent light fixtures is not only costly; it is also time consuming. A better method of varying the décor of your place with the help of lighting is to use lamps. An extremely large variety of lamps are available in the market today, catering to all kinds of pockets and décor styles. You can choose a number of lamps ranging from floor to table to hanging lamps for your home depending upon your needs. Out of these, floor lamps are one of the most versatile and stylish looking lamps. Floor lamps are generally used in room corners, entrance ways and in dining and living rooms. Floor lamps, apart from functioning as a source of illumination, also tend to add to the décor of a room, even when they are not in use, like in the day time. Therefore, it is important that you choose your floor lamp while keeping some basic points in mind. A number of tips given below will help you choose floor lamps that are most suitable for your home. • First of all, make sure that whatever lamp you buy, it goes with the style and ambience of your room. Buying a Victorian looking floor lamp for a house with a modern décor theme is a complete no no, even if you are getting the lamp at a ninety percent off sale. So take your time and choose a lamp that will enhance, rather than clash with the décor of your house. • Floor lamps can last a life time if used properly. So if you find a good looking lamp, make sure that it is of a good quality and is durable. Check how sturdy or heavy it is and if the finishing and painting are smooth or not. A floor lamp should be heavy enough not to fall to the ground with the slightest nudge or shove. 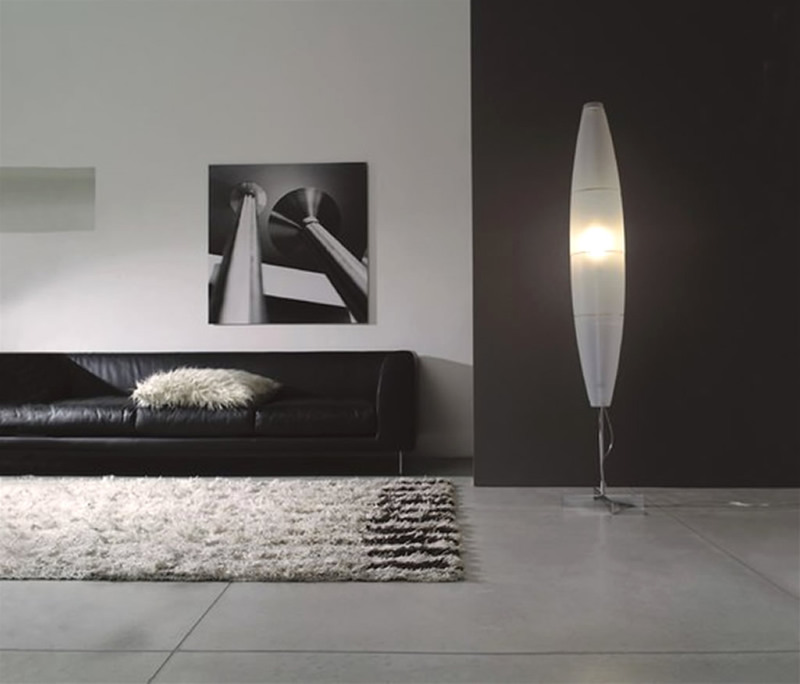 • Most floor lamps come as a combination of a separate lamp base and lamp shade. Choose your lamp shade very carefully, and if possible, try to look at it in daylight before buying it to see how good or bad it looks. Your floor lamp will act like any other show piece in your room during day time, so it is imperative that it looks good in daylight also while it is not in use. Needless to say, choose a lamp shade that complements the colors of your room. • Another important thing that will determine how good or bad your lamp looks is the kind of bulb you use in your floor lamp. While the brightness or dimness of the bulb should be based on the amount of area that you want your floor lamp to light and the purpose for which you need the light, it is important to note that the bulb should be dim enough for the lamp not to look garish or too bright for the eyes.